"We spent a lot of time working on fur as requested by Iwata-san"
With Donkey Kong Country: Tropical Freeze swinging into Western stores this week, eager fans are no doubt continuing their own personal countdowns. Ahead of the release Official Nintendo Magazine has published its interview with Retro Studios CEO Michael Kelbaugh and Nintendo SPD producer Kensuke Tanabe. Kelbaugh: I can't say there were problems, however there were refinements made in Donkey Kong Country: Tropical Freeze that weren't in Donkey Kong Country Returns. For example, we spent a lot of time working on fur as requested by Iwata-san. The end result was gorgeous fur used that we used all over the game. You'll notice it on Donkey Kong of course. We spent a lot of time and resources on increasing animation quality; you'll notice that in even the smallest of characters, trees, grass and FX. We also added David Wise, the original Donkey Kong Country composer, to our composition efforts. This, combined with Kenji Yamamoto and Scott Petersen, lent itself to a simply amazing soundtrack and special effects effort. Tanabe: I heard many users saying that Donkey Kong Country Returns was fun, but hard. We did anticipate such opinions because we purposefully kept the difficulty of Donkey Kong Country Returns as high as in the old Donkey Kong Country games. What we didn't expect was that not many players would want to use the Super Guide, which we had created as an option for people having trouble with the game. We learned that players want to clear levels by themselves in the end. Given this experience, we decided to add some features that mean even casual players will be able to complete the whole game. But this doesn't mean that the difficulty of the game has been lowered at all. A segment that may be of particular interest for fans of the Texas-based studio considers the working relationship between Retro Studios and various groups within Nintendo in Japan. It's explained that Retro works on multiple projects with multiple teams at Nintendo, with Tanabe-san going on to describe the U.S. studio as part of the "Nintendo family". Kelbaugh: To answer your question more directly, it really depends on the franchise we work with. Every Nintendo character/franchise has a creator and depending on which franchise we work with, it's likely we would in some manner work with that creator. That being said, Tanabe-san and his team at SPD are our primary contacts at Nintendo and collaborative team members. Please let me be clear, games developed at Retro Studios are a collaboration between members from Retro Studios, SPD and various other entities throughout the Nintendo family. It's a symbiotic relationship that consists of members from all over the world; we are very honoured to be working with such a talented team. 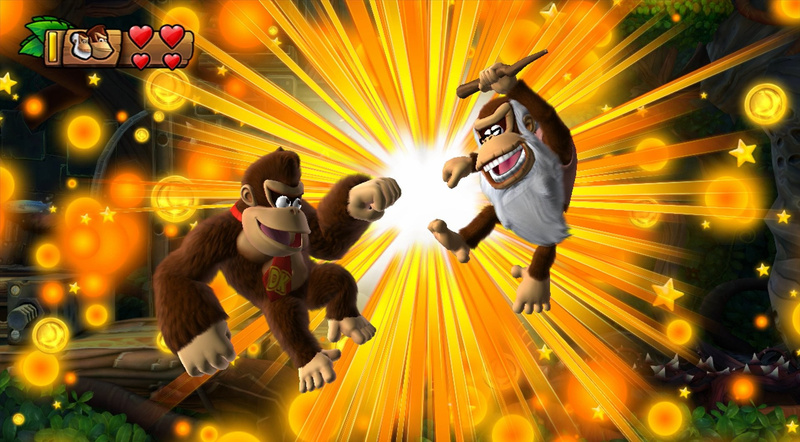 When we worked on Mario Kart 7, we were working on Donkey Kong Country: Tropical Freeze at the same time. Part of the team was working on creating assets for Hideki Konno's group, the Mario Kart team, and part of our team continued making progress on Donkey Kong Country: Tropical Freeze in conjunction with Tanabe-san and SPD. We're very proud to be a Nintendo studio working on Nintendo games. Tanabe: We consider Retro as part of [the] Nintendo family and a very capable game development studio. As a Nintendo development team, they will keep working with not only SPD, but also with the development teams in Kyoto. They might even work on a title that Miyamoto-san leads directly in the future. However, the SPD team assigned to Retro is working together with them as a single team and I hope it will continue this way. (On Mario Kart 7, for example, SPD staff were involved as co-ordinators.) I am saying this because a very interesting and stimulating chemical reaction occurs when the two parties from different languages and cultures are united under Nintendo's game production philosophy, and that chemical reaction results in extraordinary ideas. Are you excited about this week's arrival of Tropical Freeze and that HD fur? On a more serious note, does it encourage you to read of Retro Studio's major ongoing role and collaboration with multiple teams within Nintendo? Let us know your thoughts in the comments below. I can't wait! The game looks gorgeous and fun! I hope it's better than Returns. Retro Studios outlines symbiotic relationship with Metroid, please. Can't wait, DKR was a much better platformer than Rayman orgins or Legends. It is time for some challenge! They should have spent a lot of time working on utilizing the Gamepad. Even that tiny studio that made "Stick it to the Man" got a lot of mileage out of the Gamepad. A map, player 1 during 2-player, touch screen for hitting enemies. Rayman Legend uses it, Sonic Lost World uses it, Lego Marvel uses it - all of those are 3rd party companies getting use out of the Gamepad, and Retro wants to talk about being a "Nintendo studio"? It's the Wii U, it's all about the Gamepad - use it. Even tiny Spin the Bottle gives you FOUR options for using the tv screen. Just reverse those 4 options to the Gamepad screen. Something to HIGHLIGHT the Gamepad. There are 4 other home consoles currently on the market that can do HD fur, but only Wii U has a Gamepad. Apeskin! Much better than dudebro! Not needed. It has off screen play and that's enough. I was going to skip this title but I had a change of heart after reading a few more reviews. I hope Retro are working on a new IP or Starfox or Metroid now. I actually think that not using the gamepad is actually a good idea. While I do love the gamepad when used for maps or UI or something similar, I could do without a game that simply mirrors the TV. When I am playing NSMB U or NSL U... I prefer using the gamepad but it is quite distracting to have the game mirrored when I am using the TV. I'd rather it just be off. Even in SM3DW, for most of the levels, the gamepad mirroring the TV is just distracting when playing single player. I would have much preferred a second screen approach similar to the orginal NSMB on the DS or the sequel on the 3DS or even SM3DL. Having the gamepad mirror is useless. A second point... Having a major Nintendo game opt to not use the gamepad can also be a message to third parties who are mostly concerned with ports. Rather than spending time shoehorning a feature to the gamepad, I would much rather them work on making a good port. Does that mean that no game should use the gamepad? Of course not! I love the gamepad! However, that does not mean that every game needs to use it either. HD assets requirements have shaken things up at Nintendo. Gotta make the man hours stretch cuz the Wii U ain't selling enough for lots of games with lots of detail made by lots of people. The poor Japanese sales prove this game is bad. I mean, you can scientifically prove anything, even things that are subjective. Only Wii U has Donkey Kong. One of the best games on Wii was xenoblade chronicles. That was best played with the pro controller. I love the gamepad, it's my favorite controller of all time but nothing you mentioned would add to the game. I'll still use the gamepad to play it but I already have games that make use of the pad. @Shadowkiller97 Well written. This game shutting off the gamepad screen during regular play is being used as a stick to beat the Wii U with right now and yet this time last year, when developers were publicly using it as an excuse not to develop for the Wii U message boards here were filled with 'just turn the screen off and use it as a regular controller' comments. The first game I played on my U was Trine 2, which is a great game, but I immediately found the screen mirroring distracting. @Daisaku36 Oh, how wrong you are. Japan's sales figures do not represent the quality of games. Donkey Kong simply isn't popular there. They want RPG's on WiiU, they want more arcade-like action, they want more speed, crazy settings, deep characters, and whatnot. Donkey Cong: Tropical Freeze lacks most of that, but that doesn't make the game bad, it's just not interesting for japanese players. @Shadowkiller97 Wise words, sir. Wise words! @Daisaku36 that statement was nonsensical... Seriously? Even things that are subjective? No. 'Nuff said. @Shadowkiller97 At the same time, it easily can be argued that you have the option of pressing the Home button and shutting the touch screen off in the controller options while playing those games. It would not taken much to mirror the gameplay at a minimum, and let those that don't like it turn it off in the options. How did they handle the second screen on the 3DS release of DKC:Returns? It worries me that Iwata is pushing HD fur instead of online multiplayer or using the gamepad. It kind of proves to me that Iwata told Retro to make DKC rather than Retro telling Nintendo. I'm glad DKC gives the option to save gamepad battery, it just seems stupid to not have that option but I quite like the mirroring because it saves me a couple of seconds if I want to change the channel. I saw a UK TV trailer for DKC today on Sky Sports News, will be interesting to see how it does over here because it has equalled the record for my most-seen Wii U game advert with 1. @rjejr There has to be a reason something like that wasn't done.I suspect reducing input lag was the reason but I really want to know. I get tired of these weird schizophrenic debates that started with the Wii mote and continue on with the game pad. Gamers and gaming media alike seem eternally unhappy with whatever amount of game play that these controllers and technologies use. Every game seems to simultaneously over use and neglect the game pad. If it doesn't use the gamepad enough, it "doesn't create a reason for it to exist", if it uses it a lot, it's "relying on a gimmick", and if it uses a mix or allows you to toggle features they still find a reason to be confused by it. In the end, it should depend on the game. It's not like this dual screen setup is even something new...we've had this since DS. So everyone just relax...let the developer decide to what extent the gamepad is used for each individual game. The fur just looks OK. I wish the rest of the game looked a bit better. @sadsack777 Because Metroid always sold so much better than Donkey Kong, right? Right? "M-Mister Iwata-san? Is the fur good enough yet?" Kelbaugh said, while uncontrollably shuddering. Knowing full well that, if Iwata says 'No', the team would have to spend another week in the Nintendo game development dungeon. "... No, It is not good enough yet." Wii U's next marketing strategy; "You aint ever seen fur like this, have U?" They could eeeeeeaaasily have thought of something to use the GamePad for. @Action51 certainly makes one wonder why the GamePad even exists in the first place. If the best feature is going to be Off TV play, then why is the device the forced, main input of the system? Vita has Off TV capabilities too, but Sony didn't force it onto every PS4 owner. Instead, they expended costs towards features people wanted like specs that will hold up for the next 5~6 years. Also, reference the comment below this one to see who I'm making fun of when you read my first post. @Unca_Lz no, but games that have low sales are automatically bad FOR WII U. The system is in dire straits at the moment and can'tafford any more swings and misses. Tropical Freeze appears to be on the path of another miss. Nobody asked for this title. I understand peoples complaints about the lack of gamepad functions but honestly if at the end of the day it doesnt take away from this great game then why complain about it so much? Does Mario 3D World's gameplay suffer because it's not constantly using the gamepad? Does it suffer because it doesnt make use of all 6 buttons, d pad and dual analog sticks? I played DKCTF at the E3 demo and at a preview event and both times i chose to use the nunchuk because i prefer it and love how it controls…Retro has given us the option of any controller and an incredibly well developed beautiful platformer that gives Mario games a run for its money and lets him know he needs to step his game up. @Darknyht I believe it showed the KONG letters and lives and stuff. The amount of times the "realistic fur" thing is being brought up in regards to this new Donkey Kong game is becoming odd. Retro needs to make a M rated Metroid using Unreal engine 4 or Crytek!!! Donkey Kong's graphics are amazing by the way! @WanderingPB @SetupDisk - I don't like waggle, it was the worst part about DKCR, so I understand Retro's reluctance to use the Gamepad in gimmicky ways. Why put in something that nobody wants? It's a better game w/o it. I get that. But here's the thing - Nintendo has a console they are trying to sell whose differentiating feature is the Gamepad. And they tell Retro to work on the HD fur. If Retro isn't going to use the Gamepad to sell the Wii U who is supposed to? This is the last big release or the next 99 days (says Nitendo's website) before MK8, this would have been a really good game to highlight the Gamepad. Is it necessary for the game? No, probably not. Would a map have made the game better? No. But would some use of the Gamepad keep people from having this conversation and distracting from the merits of the game? Yes. So, if Iwata had a say in the game, his say should have been "use the Gamepad", not "make the fur better". It doesn't make the game better, it quiets people like Mahe who want the Gamepad dropped. @Shadowkiller97 So how difficult would it have been to include that functionality on the gamepad? At least then you are doing something with it. @Ryno Lol, i like that! @Mickey Kelbaugh: "B-but why? Why does it have to be this level of detail?!" Exactly my thoughts. Metroid please? It's great to know that Rare is keeping up their skills as there were some people that left. I saw this in the store today and didn't pick it up despite the very positive reviews because we are currently playing through 2 platformers (and Disney Infinity) that are fantastic: Rayman Legends (which is now on sale brand new) and Mario 3D World. Eventually, we'll get this though. It looks really great. The GamePad features would be great but I can give you two words why they aren't there: Release Date. Even if you account for the fur and Iwata-san stressing it. It's just a comment and the shader people would not be working on GamePad support anyway. Seriously, how bad would it be for the Wii U if we had to wait a few more months for Donkey Kong right now. Won't lie, though. I'm really getting used to amazing GamePad support in games like Rayman where even just the onscreen options to zip right to stages that are newly opened rather than the regular main screen interface is a feature I will miss in other games. Retro is always welcome here. @Nintenjoe64 Saw the ad today as well its lacking a bit in my opinion. I pre-ordered DCK:TF yesterday, it shipped today, and I'm scheduled to receive it Friday. I plan on devoting my entire weekend to the game! @aaronsullivan - "Seriously, how bad would it be for the Wii U if we had to wait a few more months for Donkey Kong right now." But but but, it was delayed 2 months already. Was that just for the HD fur? And if the game was delayed another month or 2 it wouldn't really matter b/c MK8 is 99 days away. Feb, March, April - what difference does it make when it's the only game coming out for 3 months? Again, I dont think the games needs it - just like it certainly didn't need waggle in DKCR, but it was in there. I don't want to use some things, but it's always good to have options. i buy it last night.... it will come in a week to my country. U make some good points but as for the "waggle" controls I politely disagree because in the end controls will always come down to personal preference and not everyone will agree. U say the lack of gamepad use makes the WiiU irrelevant but did the waggle make DKCR irrelevant? Personal preference in control aside DKCR was an excellent platformer as is DKCTF the next step in this platformers great evolution. No one but Nintendo and Retro know the true reason for the delay maybe the fur maybe the video sharing. The problem Nintendo has is marketing WiiU and conveying all its potential to those who are on the fence about it, dont know what the WiiU is or want nothing to do with the WiiU. @Daisaku36 I know right, poor sales must mean a game is bad because numbers. Numbers are powerful bro. Numbers have THE POWEEEERRRRRR. I will get this game for sure, but definitely not anytime soon though. Was wondering, is the music instrumental this time? Since Retro has used digital music in the past, the latest trailer almost sounded like the music was instrumental this time. @SetupDisk AGREED. Rayman Legends was only a slight step up in difficulty from Kirby's epic yarn.... I was sooooo wanting to enjoy this Rayman game that everyone was raving about..... And finally I played through it and just said "meh"
@sadsack777 Metroid bombed the last time it was released. Nintendo isn't a charity, they need big sales, not a couple hundred thousand copies to scratch a an itch some niche gamers want. @rjejr I think the HD fur was finished back at E3, we saw a lot of it then.... I'm glad they did add real fur. Compare it to Sakurai's DK model, it's a million times better. If Retro just stuck with Sakurai's lazy DK model I think lots of people would have been disappointed in the game. 1) A sympbiotic relationship does not require that both organisms require the other to survive. It simply means they benefit from one another and you can't really argue that Nintendo and Retro don't operate in a mutually beneficial relationship. 2) Retro certainly has it good by being a part of Nintendo, but I can't imagine they would have trouble developing for Ubisoft, Sony, or another big time publisher if Nintendo were ever foolish enough to drop them. "...certainly makes one wonder why the GamePad even exists in the first place. If the best feature is going to be Off TV play, then why is the device the forced, main input of the system?" Not only did you completley misrepresent my position, or the position of anyone who genuinely likes the gamepad, but you created a ridiculous false argument (also known as a strawman) in the hopes that nobody would notice. The only person suggesting the primary use of the gamepad should be for offscreen play, is you putting words in my mouth. And finally: Guess what? I like the gamepad...a lot. I like using it and I'm quite pleased to see Nintendo once again make an innovative controller. I'm sure you don't like it (predictably) and my advice stands: sell your Wii U if you dislike everything about it and Nintendo's business model and put the money toward a system you think you might actually like. You always sound so unhappy. Edit: The use of the word "forced" is a bit hyperbolic. Many games allow various controller schemes, and I think that's a good thing...and we know very well that if Nintendo didn't allow multiple controller types you would be complaining about that...which was my original point about the schizophrenic gamers and game media. @element187 You cannot attribute Japan's lack of enthusiasm for a Western game to them not liking difficult games. Whenever someone does the impossible they are invariably Japanese. (i.e Completing I want to be the guy on impossible). Sales! Marketing! Stats! Numbers! Numbers! Numbers! Can we wait more then a few days and a single report from one country before we extrapolate out the entire financial future for this game and the console and Nintendo? Will it sell, will it fail!? We'll see soon enough. @LUIGITORNADO I agree, but maby a map. I find touch screen use of hurting enemies a bit cheating. 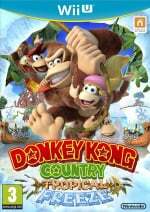 I think Tanabe's idea of 'keeping the difficulty as high as the original Donkey Kong Country games' is a little bit skewed to say the least....none of the original trilogy were anywhere near as difficult as DKC Returns....Diddy's Kong Quest is challenging, yes, but DKC Returns can be absolutely unforgiving and even brutal at times. @Action51 I say "best" in regards to Off TV Play because up until this point that's all Nintendo seems to be able to do with it (a map display is hardly utilizing the second screen to its full potential, so Off TV play trumps it by default). ZombiU made GREAT use of it; developed by a 3rd party. But Nintendo still seems baffled by the implementation. I say "forced" because the GamePad is bundled with every Wii U, just like Kinect with Xbox 1. And just like Kinect and Xbox 1, it is sorely underutilized. @gatorboi352 called you out, so now you're changing your story. Fair enough. NintendoLand: multiple uses from touch screen ninja star aiming, to gyroscopic map navigation, to asymmetric hunt and chase game play. Lego City Undercover: the Gamepad becomes a comm device, and a real-time, real space detective tool that is really pretty fun to use in conjunction with the main display. Batman Arkham City: integrates several functions into the gamepad, from rapid inventory selection to mapping to communications and forensic scanner. Rayman Legends: supports special touch pad specific gameplay functions. Wii U Party: "tabletop" mini games and various games that even take advantage of the sensor bar features. You know I'm sure there are more examples out there, but those are a few notable examples. I am really surprised you weren't aware of this. Of course, I'm pretty sure your main purpose here is to create misconceptions and generate negativity towards the Wii U and Nintendo. Exactly as I described in my original post, there is no level of inclusion, or lack of inclusion for game pad features for any percentage of games that will satisfy your schizophrenic complaining. Accusing people of being fanboys is a sure sign that you aren't here to discuss the topics in good faith. SMH. @Action51 I don't believe I sound "cynical" as you point out. More like realistic. 1.- The term symbiotic fits a wide range of relationships. If you look at all the relationships that are considered "symbiotic", many of those relationships refer to those in which one, or both, of the organisms cannot survive without the other. Thus, the metaphor I used to describe the Retro/Nintendo relationship is a valid as yours. Granted Nintendo and Retro have a relationship that it is of mutual benefit. But at the end of the day, Retro needs more Nintendo than Nintendo needs Retro. Don't forget, Retro is a SUBSIDIARY of Nintendo; they're not equal partners. 2.- If Nintendo were to sell Retro, Nintendo would be doing business as usual and eventually find another developer to take Retro's place. However, Retro would have a harder time finding a publisher whom would utilize their talent to their best of their abilities the way Nintendo has utilized them. It would not be impossible for them to find a new home, but it highly doubt it would be as good as it is with Nintendo. Look at Rare. Everybody thought that Microsoft would allow Rare to create marvels for the XBOX and instead, Microsoft just shelved the studio and use them for Kinect mainly. But let's face it. Nintendo OWNS Retro, so Retro is not going anywhere. If anything, I think Nintendo would rather close Retro Studios (or mothball it like Microsoft did with Rare) before seeing it making games for any other publisher. I'm not sure why people feel like there HAS to be something for the Wii U Gamepad to display. The Donkey Kong Country games are hard enough without having an extra feature to pay attention it. I don't think ALL Wii U games should just only have off-tv mode. Not at all however not every game needs to make unneeded use for it. If you don't have anything that will fit well with the game and seems more shoehorned in than being needed...at least do off-tv play if you can. If more features can be done then do it and do it well. Agghhhh I wish the eshop had digital preorders that would download once the game is up in the shop. I go to work at 11 tonight so I will have to wait till tomorrow morning to buy and download it. Does anybody know how large the game is? D'oh it's only the 20th. Same situation Friday night though. @Senario couldn't have said it better myself! I'm upset Retro didn't make a Metroid instead of some lame DKC game! "1.- The term symbiotic fits a wide range of relationships. " Yes...that was my point. That's what I was trying to explain to you! Let's be honest here, if Retro were to leave Nintendo for whatever reason, I think they would be able to get a new publisher or meld into another large publisher pretty easily. They have bona-fide critical and commercial success as well as name recognition and prestige. Most developers dream of having the positive buzz and track record of Retro studios...and still working under the umbrella of Nintendo, they are probably getting about as much freedom and support as they could ask for. So really, yes...this is a symbiotic relationship where both Nintendo and Retro benefit from working together. Both parties would likely survive, but they do better and thrive together. Yes...that was my point. That's what I was trying to explain to you!" That what what I was trying to tell YOU when I acknowledged that "...the metaphor I used to describe the Retro/Nintendo relationship is a valid as yours. Granted Nintendo and Retro have a relationship that it is of mutual benefit....". Unfortunately it seems you were so busy writing your rebuttal that you didn't read far enough into my counter argument. Nintendo learned from its bad experience with Rare so they bought the majority of shares of Retro so they own Retro; therefore Retro is not going anywhere anytime soon unless Nintendo is doing so terrible that they need to sell assets to pay debts (which is highly unlikely anytime soon), OR Retro is doing so bad Nintendo sells it. We've seen this again and again with great developers that get released by their main publishers or developers that simply go down: Rare, Iguana, THQ, Atlus, etc. It's not easy for a company to come back after being dropped or going broke. As I aforementioned, Retro needs Nintendo more than Nintendo needs Retro.